Two hours after my meal at Akasaka Kikunoi, I found myself wandering around Harajuku. I was supposed to meet two friends and I ended up being half an hour early. 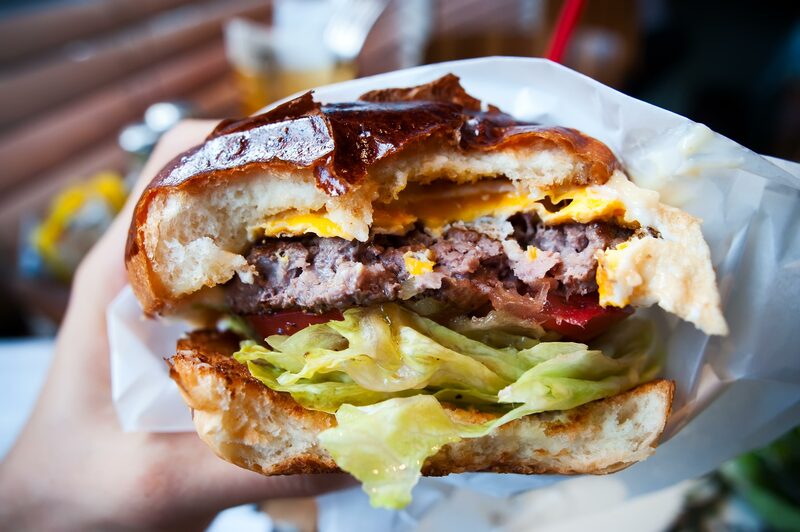 Coincidentally, I was only about a 5 minute walk away from Great burger. Over the past few months, I’ve managed to push out a lot of the ‘junk/fast foods’ that I used to consume, but a great burger(get it?) is still an achilles heel of mine, you know what they say, sometimes you choose your meals, and sometimes your meals choose you, or maybe noone really says that, I don’t know. I love Japanese eggs, if you’ve ever had the traditional Japanese breakfast of raw egg over rice, you’ll know that there are no eggs in the world quite like Japanese eggs. I’d even go as far as to say that they are superior to French eggs, which are already pretty damn good. 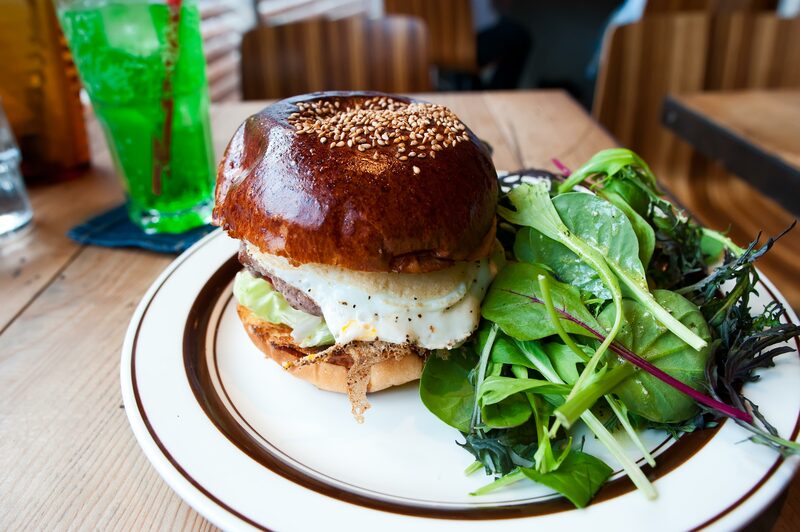 There are a lot of people out there who do not get down with a fried egg in a burger, I am not one of those people, there is no sandwich or burger that a fried egg cannot elevate. The standouts of the burger were the vegetables, the lettuce was one of the freshest I’ve ever had, with a very good crunch, tomatoes had a subtle sweetness, and that unbelievable fruit like texture that Japanese tomatoes seem to have, I’m not even a fan of tomatoes in general, but I love Japanese tomatoes. The bun itself stood out as well, it had good volume, and nicely crusted on the outside with a generous sprinkling of sesame seeds, this gave the bun a nice complex nutty flavor, and a fluffy interior. The salad was surprisingly good as well, definitely not an afterthought kind of salad that many burger houses throw together for customers that refuse to eat fries. The salad was not overdressed, every leaf was nicely coated and the acidity of the vinaigrette cut through the rich bun nicely. If you can look past the slightly underwhelming patty, great burger serves up a really nice burger(you could always get an extra patty). 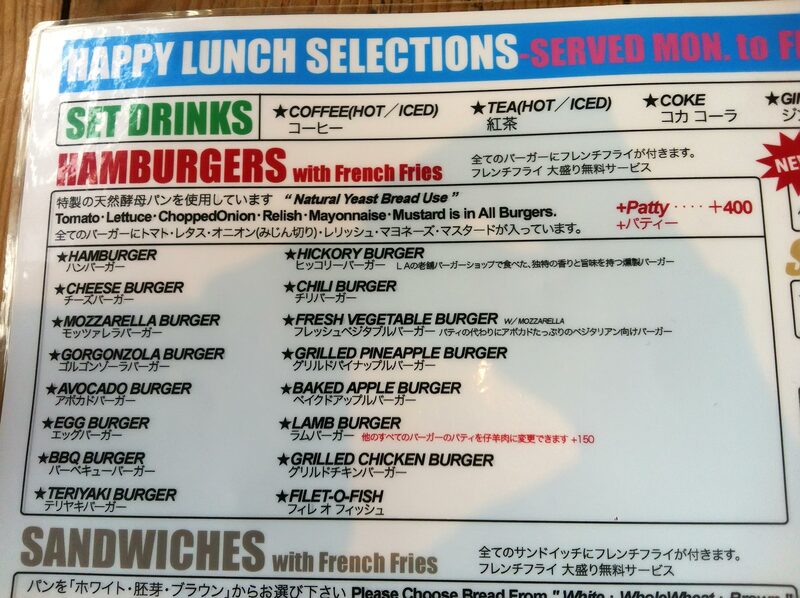 I don’t think its worth travelling out to Harajuku/Omotesando for, especially if you are far away, since there are many amazing burger joints in Tokyo; but if you are in the area, I’d really suggest stopping by.